Look, just because The Crow reboot still lives in the basement doesn’t mean you can tell it what to do, Mom, all right? It’s old enough now to be able to make its own decisions! And you may not like it, but Jack Huston is going to star as Eric Draven, okay? 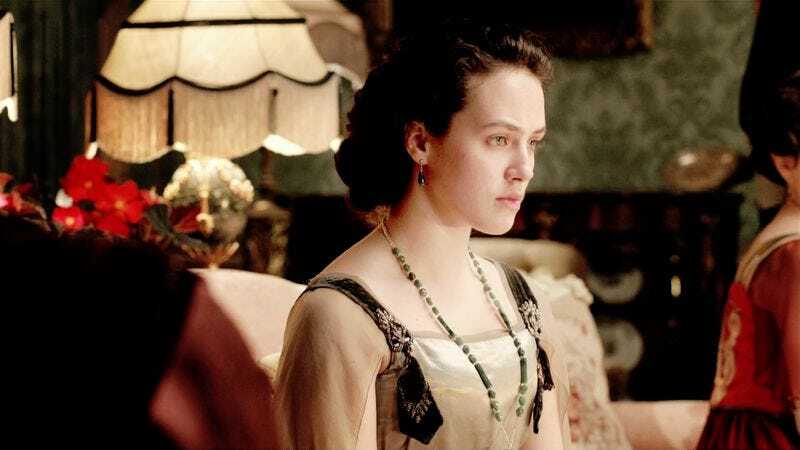 And now Dread Central reports that Downton Abbey star Jessica Findlay will be taking the role of Shelly, Eric’s dead girlfriend. Yeah, we thought you might like that, Mom. Now give us back our cell phone! James O’Barr, creator of The Crow comics, announced the news at the Lexington Comic and Toy Convention (motto: “A sensible way for adults to spend money”). The Downton Abbey actress was his first choice for the role, presumably because her experience with corsets meant she would be well-versed in ridiculous outfits. No word yet on how faithful this reboot will be to the original graphic novel, but O’Barr seems to want it to adhere pretty rigidly. After all, he has already said it will feature Joy Division songs, unlike previous films (the 1994 version merely included a Joy Division cover by Nine Inch Nails) that dared depart from O’Barr’s vision of a rampaging Goth in leather pants who talks to birds. That same commitment to realism means the film will be shot in Belgium, a.k.a. the Detroit of Europe. Needless to say, O’Barr wants the film to be wildly successful and spawn a new franchise, but that’s not what The Crow reboot wants. It just wants to be left alone, all right? But call it when the Little Caesar’s delivery guy gets here, please—sometimes it can’t hear the doorbell when it gets caught up in playing Dark Souls II.